Thanks to the latest dental technology, Dr. Salivonchik is able to provide a quality of care that would have seemed impossible just 5-10 years ago. 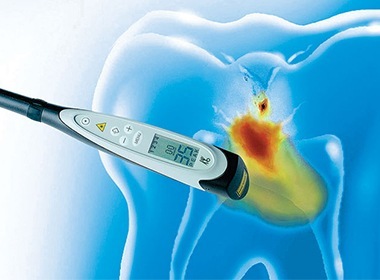 Now, he can capture X-rays in seconds while exposing patients to almost no radiation, perform many procedures quickly and painlessly with lasers, and he can even take impressions without using odd-tasting dental putty. If you’re ready to come experience dentistry that is always comfortable, precise, and efficient, then contact us today. 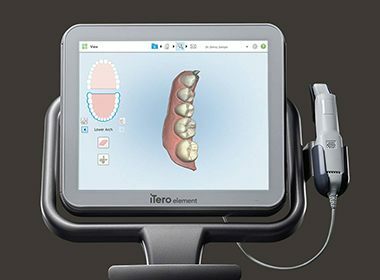 In order to make your appointments as transparent and easy to understand as possible, we can show you close-up, high-definition images of your smile thanks to our intraoral camera. This small wand-like device glides comfortably through the mouth to capture images we can quickly show you on a monitor right in the treatment room. We can use them to explain the current state of your oral health, point out any problem areas, and discuss the benefits of recommended treatments. 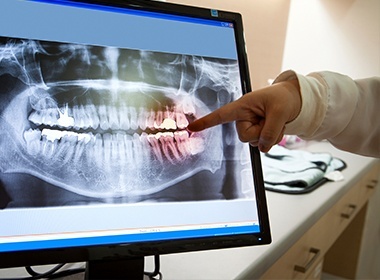 Many oral health problems initially show symptoms that are hidden from the naked eye, and in order to catch them, our team uses X-rays. Instead of relying on traditional film, our practice upgraded to digital X-rays years ago. With them, you won’t have to spend time waiting for images to be developed as they can be shown to you on a nearby monitor mere seconds after they have been captured. Plus, for patients concerned about radiation, they emit up to 90% less compared to film! Creating an impression of a patient’s teeth is often a vital first step in their treatment, but no one ever liked having to bite down onto dental putty in order to make one. Thankfully, our patients no longer have to. 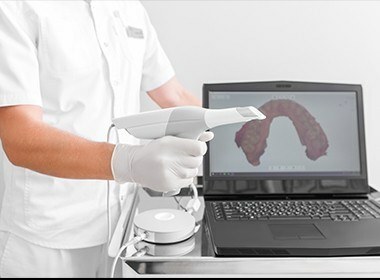 Using our in-house CEREC technology, we can simply scan a patient’s mouth using a small device to generate a fully 3D image of their teeth and bite, all in just a matter of minutes. Whether a patient is being treated for gum disease or getting a cosmetic gum lift, treating the soft tissues of the mouth needs to be precise. 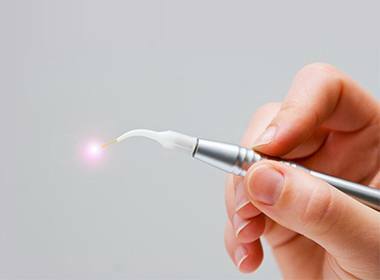 Instead of using scalpels and sutures like in the past, many of these procedures can now be performed precisely and efficiently with dental lasers. Our Waterlase and Diode lasers are able to remove unwanted tissue and bacteria without causing pain, bleeding, or swelling, leading many patients to not even need local anesthetic to remain comfortable. The first signs of a cavity are very hard to detect…or at least they use to be! 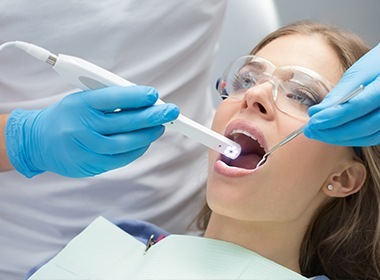 With our Spectra cavity detection system, our team is able to quickly find even the slightest hints of dental decay, ones that would normally be overlooked during a traditional exam. With this information, we can intervene and use conservative treatments to strengthen any weakened areas of enamel, saving a patient from having to get more extensive (and expensive!) restorative care.